Chef Craig Wong couldn’t have put it better as he reels off the contributions the Caribbean island has made to the world’s cultural pantheon (some unpublishable) — and that includes cuisine, which until now has been pretty underrepresented in the UAE. I know what you’re thinking. Uh... Craig... Wong? Jamaican restaurant? After discovering a passion for classic French cooking techniques (“I got interested because I really just wanted to cook for myself — going out to fine dining wasn’t even an option,” he says), Wong headed to France with one dream: Working for renowned chef Alain Ducasse. I’ll take you straight to the happy ending: He did it. 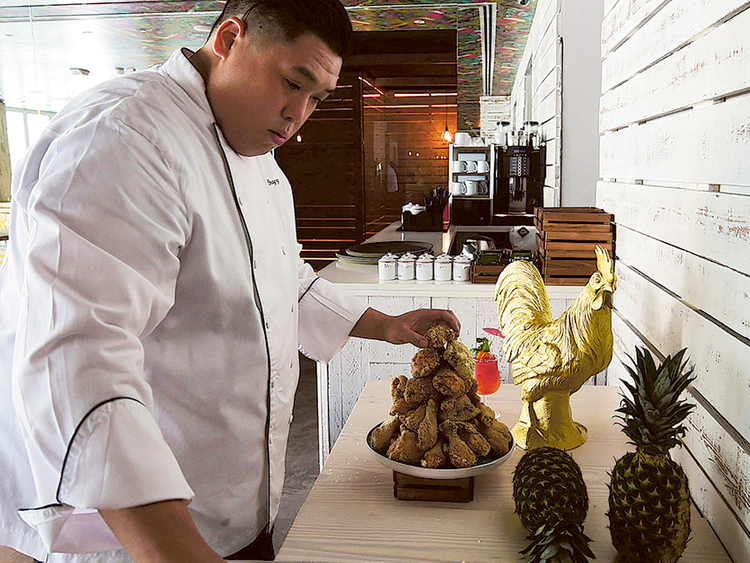 Wong returned to Toronto with his classic techniques, but didn’t open a French place, instead he opened Patois, celebrating his heritage with dishes such as jerk chicken chow mein and a Hong Kong-style sweet pineapple bun burger. Three months in, he got a mysterious visit from Dubai. 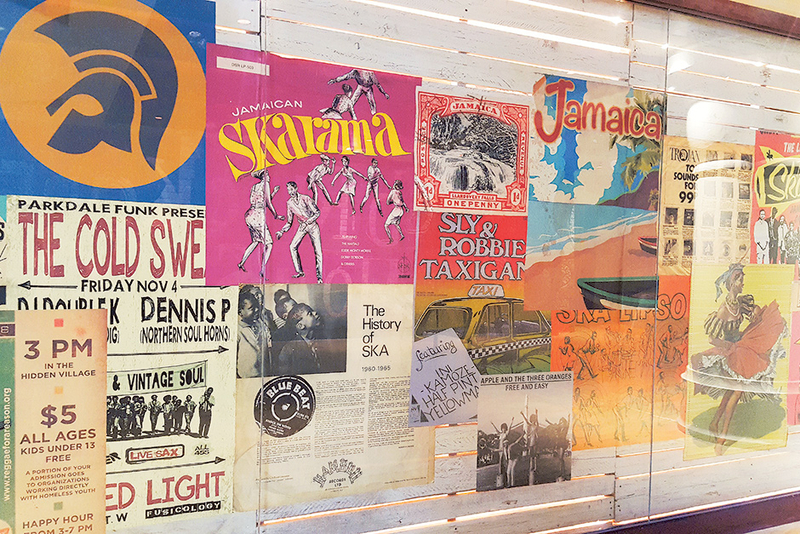 The result is a gorgeous (soon-to-be licensed) spot in the Souk Al Manzil, with a bar, casual seating, open kitchen and tons of Jamaican music posters on the walls. There is a DJ booth and plans for live music. It’s not just a restaurant but “more of a cultural place. The majority of staff, front of house and back of house, are Jamaican”. Case in point is the Chips Oman burger, a local riff on that burger from Patois. It features a spicy scotch bonnet pimiento cheese, crushed-up chilli flavour Oman chips and oyster sauce mayo, on a sweet milk bun with a sweet crackling top. The jerk chicken is cooked in a French rotisserie — “crisp skin, juicy, juicy flesh”. Seafood on the menu includes lobster — a hot dish resembling Thermidor called beachshack, where the meat is mixed with island-spiced ingredients and served in the shell — and a lobster linguini, with crispy lobster chunks tossed in jerk butter, tossed with a light tomato sauce. 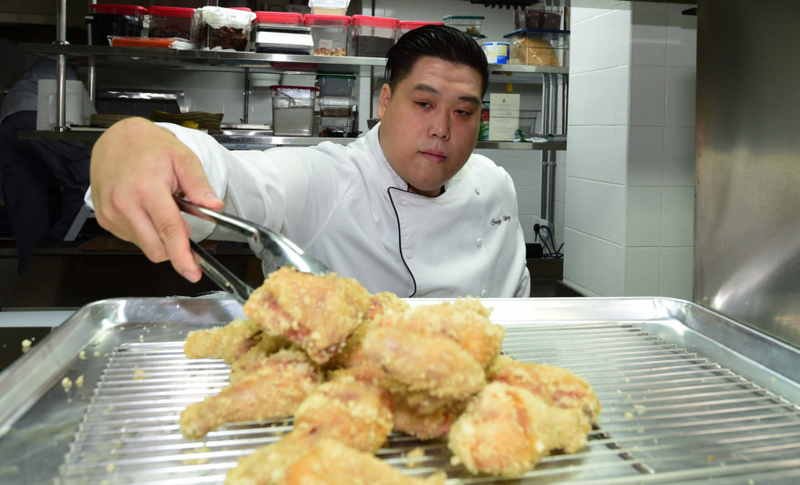 Craig Wong speaks highly of his fried chicken, which he says took him three years of experimentation to perfect. I remind him that another Toronto import, Weslodge, also says they have the best fried chicken. Is this a Toronto chef chicken-off? “That’s what we use instead of business cards,” he says with a chuckle, miming pulling a wing from his pocket. 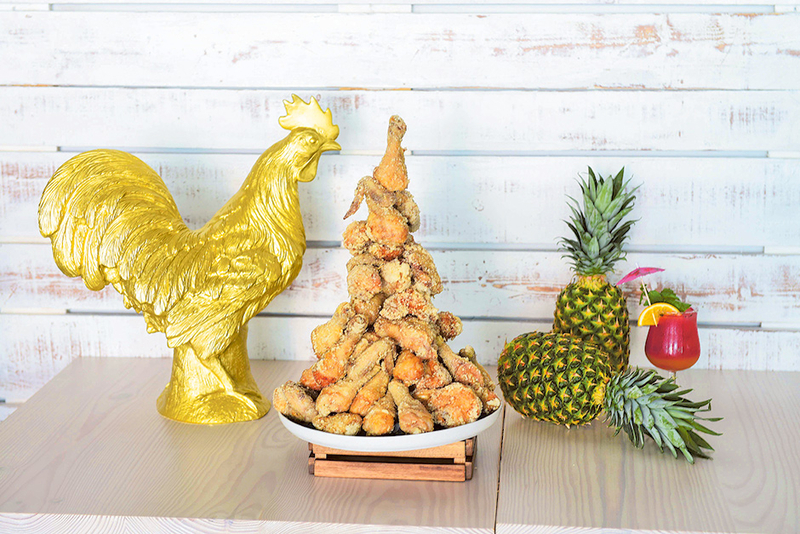 “Our fried chicken is called OG fried chicken,” as if I needed more proof of a chicken throwdown.